As is often the way with these posts, not all of the comment and debate is in public. So it was when I said I was starting to paint again. The longest discussion was with a friend of mine who is an excellent painter himself and something of a teacher of the subject. He was very supportive, but thought that I might be making things a bit harder for myself than I needed to. Instead of painting models that were on the way out (so as to not waste the good ones) he thought I should pick ones I really liked. His suggestion was that this would inspire me to paint more and continue past any hiccups. Well I’ve been pondering this while I’ve been continuing my daubing, and shiver me timbers if he ain’t right. The models I picked “because they were there” are easy to put down because I don’t expect to be keeping them. They’re the equivalent of doodles, or more accurately the equivalent of the scrap paper my grandfather used to practice on. You see, he learned art when it was being taught in a classical manner and one of the simple techniques for learning the craft of it was to practice the brush strokes that were needed to make specific marks. It’s simple – just get a sheet of newspaper and make the same mark again and again over the whole sheet. Then get another sheet and try a different mark. You can then bin the paper. Not the most exciting of lessons, but it certainly teaches you how to control the brush. I was just doing this in 3D. On the off-chance that I’m not immortal, I may need to hurry my painting along a little (if I’m to get any armies done). After all, I’m not getting any younger. Despite that portrait in the attic. So, after looking long and hard at the models I’d picked, I’ve relegated two of the three and replaced them with new faces. Ones I do want to paint and will actually use. This might encourage me to try harder, and should also be more of an encouragement to get on with them. Interesting post. I think all new and returning painters deal with this phase. I’m certainly smack in the middle of it. I’ve got a crate full of cheap Reaper Bones that are perfect for practicing, but the detail is soft to the point where I don’t even bother with techniques like edge highlighting because there’s no crisp edge. 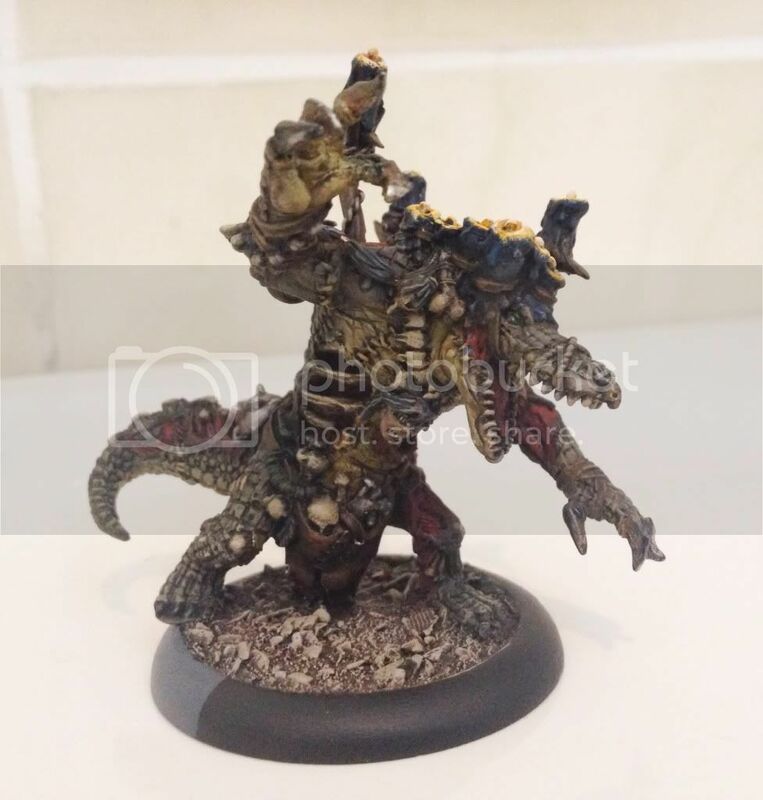 That said, if you hit my blog’s gallery you can see the past several minis I’ve painted have been cheap Bones, and each one was specifically targeted to learning certain things. So there is a place for that, but then when is it time to ‘bin the paper’ and start painting the good stuff? Perhaps that was a touch brief. I wouldn’t admit my miniatures spoke to me either (shush now, I’m trying to type). Yea, the Bones are perfect examples. Some very cool figures there, but when you sit down to paint them and find they don’t really have a nose, or that hand is just barely more than a blob… It really takes the wind out of your painting sails. I’ve gone back to painting other minis with much more crisp details. Much, much more satisfying. I’ve not seen any of the bones models for real, only in photos. I am hearing enough comments like yours to make me not want any, despite what looks like a good offer. Not like I need another sack of figures anyway. One of their dragons looked interesting, but beyond that I’ll pass. Even then I’m not sure. I’ve picked out some more models with sharp details to paint and will post some pics when there’s something to show. I have the models from the first Reaper kickstarter. I have found some of the minis lack detail but others are not bad at all and that is not much of a surprise as that has been my experience with their metal figures. Of course you have to deal with removing flash and fixing any bent parts in a new way but the amount of effort seems about the same. The ones that lack detail go into a pile for my kids and it is nice for them to have figures that are very hard to break. However cutting and reposing the figures seems to be a bust as reposed figures seem way to fragile to use in gaming. I might try heating and bending some about to repose them but have not got around to trying that yet. According to the Reaper site, the models are very easy to convert because they cut cleanly and glue well. At least, that’s the theory. As I said, I don’t have any to experiment with. Perhaps I’ll order a few for my experiments… muahahahaa! I did a test on a troll. I thought the larger limbs would increase the chance of success. First getting clean square cuts is not that easy as the cutting tool wants to wander through the plastic. Second the plastic does not sand that well so fixing the cuts so they are straight and clean is a small struggle. They say you can get a strong bond with super glue. Even with the larger surface area on the troll the results does not seem very strong at all. The glue joints on my troll can not withstand any knocking about. Are you pinning and gluing? I’m not a fan of Bones for anything beyond practicing, but I’m not much of a gamer. So mine just sit on a shelf. But one thing going for them is they slice like butter. Chopping off a broccoli base is easy as pie, compared to my current project in white metal where I was at it with the saw, knife and files for a while to get it off and clean. On the other hand, metal is far more forgiving. One slip with the knife and you’ve destroyed a Bones mini. To lazy or lack the will to pin. That is why most of my figures are ABS plastic. Almost all of my metal figures are one piece to avoid pinning metal. All my figures are heading for the gaming table and I like to have figures that are reasonable in quality to it is very vexing for me if they fall apart or break. One nice thing about the bones is the skinny bits bend and do not break off. I am somewhat of a bones fan at least for the sculpts that I like. Some of the sculpts that I like I had in metal before the bones version came out. Painted I don’t see any quality gap between the metal and plastic. Keep in mind the bones plastic does not show the detail until you have some paint on it so looking at a figure in raw plastic is deceptive. I am working on the best way to prime or get the first coat of paint on so I can see the detail better when I am painting. Because I have problems seeing the detail to paint without primer the fact paint will stick without primer is not a feature I care about. I have to get going with my air brushes. Ah, the difference between the theory and the practice rears its ugly head. @Don – prime white, wash in dark ink. When dry that’ll show you all the detail (plus any bits of cleaning you missed). I’ve done this myself and it’s a great help to old eyes. I can’t see a thing on black primed models. I’ve always considered myself a painter rather than a gamer (though i do enjoy games immensly now). It’s something i do to relax and it’s something i genuinely enjoy. But every now and again a model comes along that i’m raring to paint, then get about half way through and don’t touch again for 6 months. Maelok from Hordes is a prime example. I think it’s one of those things. sometimes you just have to force yourself to get past that point and finish the model. It sometimes goes against the ethos of doing it for enjoyment but once you have a fully painted force you soon forget that. Good advice. Easy to stop, harder to start again. I’m currently powering my way through some units which is the thing I tend to stuck with the most. Which is why i batch paint them. Really? I was a bit uninspired by the stock photo of Maelok, but when I started painting him, i really got into all the little details. Yeah i was super enthused to paint Maelok but i was totally overwhelmed by just how much detail theres is on him! I got him when he first came out and only finished painting him a few weeks ago. I can definitly see why that would give you a headache! I think it’s a difficult model to me it’s a little busy but you did a good job mate! Actually that reminds me, i had a question on force building.